Computer 1, a new company set up by Avinesh Krishna, is all set to take up being the authorised dealer for Canon in Fiji. The product range includes Canon Hardware – Photocopiers/Printers/Scanners plus the SMART Software like Document Management/Print control to have business go paperless. The dealership for Canon used to be with DATEC Fiji before this. Mr Krishna said: “As we all know, technology is changing the world and Computer 1 will bring these latest workplace innovations with Canon. “For example, the increase the mobile devices and internet, we want to do work from home or anywhere from the globe. “So we need technology solutions that can connect you do more without coming to office. “Secondly, we all know the effects of climate change and we need green technologies and embrace those. 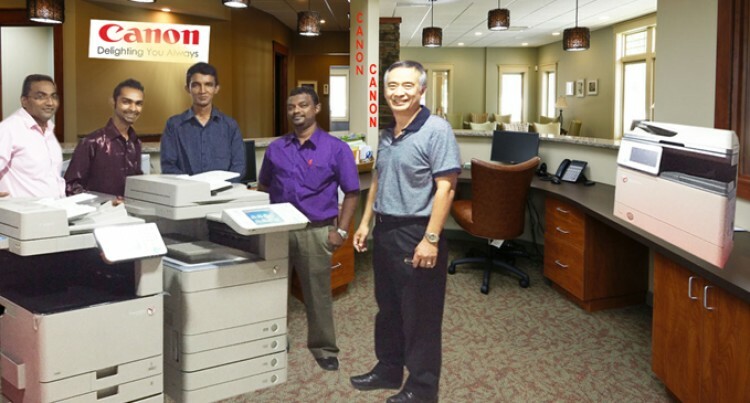 As part of Canon’s requirements, Computer 1 technicians underwent a week of intensive training to ensure quality after sales support. “The team is very confident and we will hire more engineers now to be trained by our local expertise,” Mr Krishna said. Mr Krishna has 10 years of experience in the technology industry. He brings experience working with companies like Ricoh Business Centre, Carpenters Motors, Asco Motors, Coca-Cola, Datec and Daltron. “I love technology because it helps business grow in the competitive market and make business process efficient,” he said. Mr Krishna has experience in introducing various technology solutions in Fijian Market like Server & Desktop Virtualisation, Document Management & cost recovery solutions. He said in 2015, Computer 1 was asked to submit a business plan to develop and market Canon for the Fijian market due to his calibre and business understanding.